The XOLO A600 got listed on the official XOLO site, and ever since we’d been wondering about the price at which the device would come. The company announced the pricing for the A600 today morning, and at 7,999 INR, does the dual core phone seem like a deal to you? Let us speak about the internals in the A600, and decide if the device is a yay or nay. While most other budget releases we witnessed in the recent past carried 8MP main shooters, the XOLO A600 does a slightly disappointing 5MP. You will still be able to capture decent enough clicks, but we really would’ve liked to see an 8MP unit instead, which would’ve made the competition even stiffer. On the front, the phone comes with a 0.3MP snapper that will be able to do VGA shots, and which should probably suffice for video call users in India, which aren’t huge in number. This makes it possible for potential buyers to overlook the front camera, if it is not to their taste. The device packs 4GB of on board ROM like any other MediaTek based budget smartphone selling at the moment. With this, you get a microSD slot which will accept cards up 32GB in capacity, which we presume you will keep engaged since 4GB (out of which about 2GB will be available for the end-user) is clearly not enough. The phone will feature the ever so popular MediaTek MT6572W chipset which is a minor variation of the MT6572. The chipset houses a dual core processor which works at a frequency of 1.3GHz. Along with 512MB of RAM, the device will make for a rather austere unit with decent processing capabilities. Again, this is a purely objective view; referring to ‘decent’, we mean that the device will be able to handle your daily apps like Facebook, email, sms, IM along with other popular Apps, without much of a hiccup. Having no expectations is the key here, if you are a first time buyer. The phone will come with a 1900mAh unit to provide juice while you throw apps at the device. Moderate users can expect a maximum of one day of backup on a single charge, while heavy users (which honestly we don’t think will be many because of the lack of processing power) can expect 6-8 hours of heavy on-and-off usage from the A600. The XOLO A600 comes with our favourite screen size of 4.5 inches, packing 960×540 pixels along the edges. We would like to point out that the resolution this device features is probably the best combination for a 4.5 inch device, which as per us is the perfect balance between display density and performance. You will enjoy the display, there won’t be any noticeable pixelation, and not a lot of lag as well, is what we mean to say. The phone will have Android v4.2 preinstalled, and won’t be heavy on UI gimmicks like other domestic branded phones. The device looks quite sleek and slim, and in white, has a touch of class to its design. Huawei followers might also find a touch of Huawei in the design, but not enough to be able to call it a copy. On the connectivity front, the phone will come loaded with GPS, WiFi, Bluetooth, USB, 3G, etc. The phone will have a tonne of competitors from domestic manufacturers like Micromax and Karbonn. Devices include – Celkon Singature A107, XOLO’s own Q700, Micromax Canvas 2 A110, etc. The device does seem like a decently powered one, and we think it looks good too. However, at 7,999 INR, XOLO are asking too much for a dual core device with 512MB RAM; their own Q700 which comes with a quad core processor isn’t far away in terms of pricing. It would be a good idea to wait for the price to come down to about 7,000 INR before going for the device, if you fancy this one. Otherwise, going for devices like the Celkon Signature A107, which is priced considerably lesser, might be a good idea. 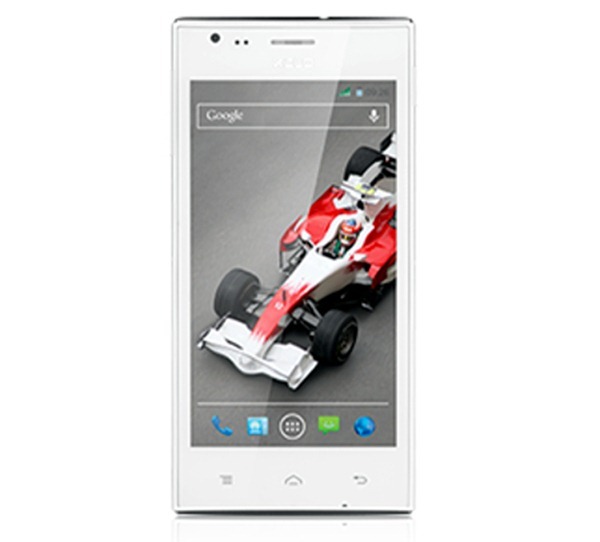 Can I have full video review of Xolo A600 alike that you have done with huawei Y300. we will try to do that soon, lets see if we can get the review device.